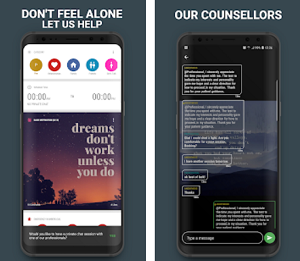 There are loads of apps that claim to use psychological principles to increase wellbeing in some way, encouraging you to keep track of your mood, to manage worry, to influence what you dream about … all sorts. There are others that don't sell themselves as psychology but draw on psychological principles. Can an app really distil something useful from psychological research and plug you into some life-influencing wisdom? I think some can. We’ve been searching for apps that can help you clear your thoughts and set up the right mindset and discovered one called Best Days. Launched on the iOS platform, this app is the perfect solution for determining the best days to do a certain activity or make a decision. 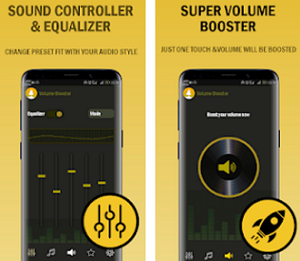 Plus it is easy to use, with intuitive UI and works for both iPhone and iPad. 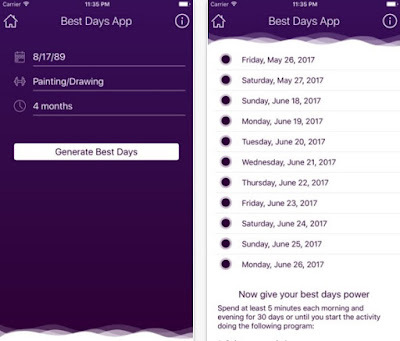 The Best Days app helps its users to empower their thoughts, create their own reality and set up the right mindset by picking the best days to do a chosen activity. If you want to use its features, all you have to do is install it on your device and enter your date of birth and period of interest. Then, it will show you the best days for you to do that activity and give you a whole empowerment program. It’s that simple! Designed to help you succeed, the app can be downloaded for free from the App Store. Get it today and get the power you need!